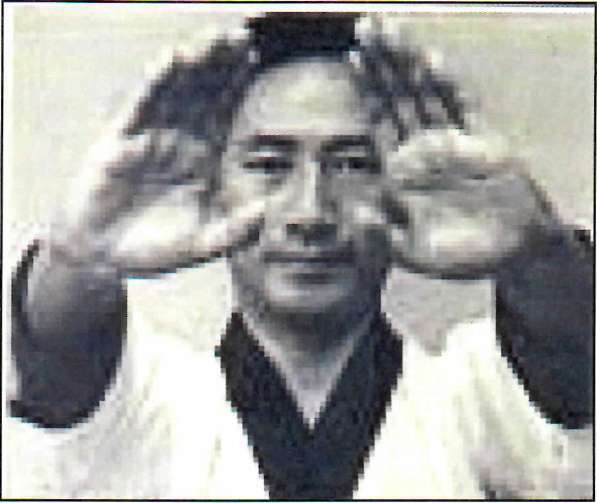 The hand position that is the beginning of Koryo poomse is described in many ways, ranging from a Chi Kung energy concentration to the more fanciful “gazing at the sun”. In this discussion I would like to propose an alternate interpretation of this movement, and the subsequent knife hand block. Our targets for this initial strike lie on the Stomach meridian. Specifically, St. 1,2,3. These points lie on the face in a straight line dropped from the pupils of the eye to the level of the bottom of the nose. 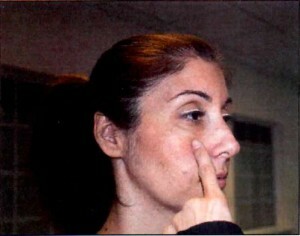 These points are symmetrical and will be found on both sides of the face. Instead of viewing this as the so called “knife hand block”. Let us instead view it as a continuation of the prior defensive movements. 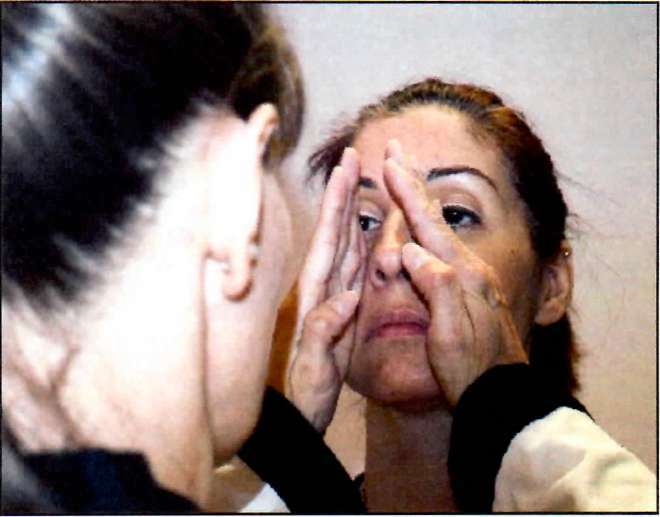 In this scenario (above), we have just pre­empted an attack, and in the brief interval created, we reach out to their opposite arm (in this case our right to their right), and with our other hand hit the opposite side of the neck. By shifting to a back stance and continuing the knife hand block movement exactly as it is done in the form, the opponent will thrown to the ground. Of course, as the form is symmetrical, the technique works to either side. CAUTIONARY NOTE: while these techniques are paired together, as they are in the form, either of them, taken alone, isperfectly capable of effecting a knockout, or causing serious injury. Please use only very light pressure when practicing.